7-time Russian Champion Peter Svidler finished 4th in Moscow, but couldn’t hide his disappointment afterwards, telling sportsdaily.ru, “the only thing that means anything is first place”. In the interview Svidler also talks about doping in chess, the chances of his helping Sergey Karjakin, the changing pace of the game and why he’s against odds matches versus computers. 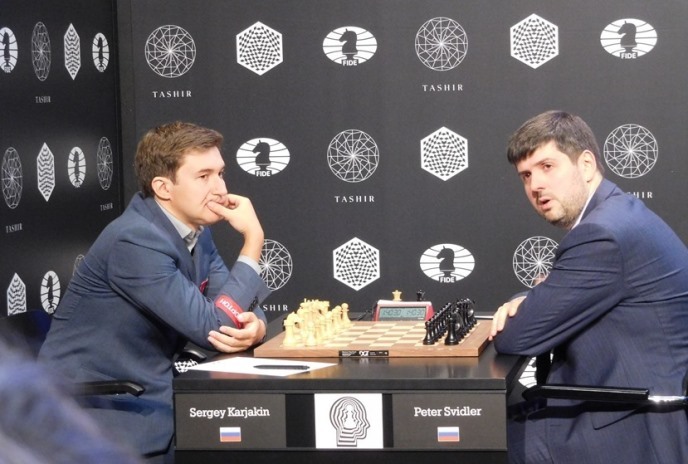 Svidler: The emotional stress was so great that after the tournament I wanted to go home and shut myself off from the outside world for a while. Kavokin: But many don’t consider chess a sport. It’s a topic you can argue a lot about (smiles). For chess players it’s not so important. We’re involved with something we love doing - call it what you like! But there’s another point. In the West an active struggle is going on to recognise chess as a sport, since that means another level of finance and another relationship to the “state machinery”. FIDE President Kirsan Ilyumzhinov’s initiative to promote chess as a Winter Olympic sport – is that a utopia? It’s more of a dream. Kirsan Nikolaevich has been chasing after that for the whole twenty or so years he’s run FIDE. So far, it seems to me, there’s been no progress. I can’t see how chess can be “inserted” into the Olympics, whether the Winter or Summer ones. In your view, is the current system for deciding the World Champion optimal? What’s fundamental for me is that the system is known to everyone in advance and doesn’t change along the way. So far those two conditions are being observed. There’s a new World Championship cycle ahead. I’ll try to win, but each time it gets harder and harder (smiles). You’ve played in four Candidates Tournaments. What’s lacking to win? If I had a clear idea of that, I’d probably have managed to do it over the course of four tournaments. For now I keep ending up with a variation on the same result. I play decently and demonstrate some original ideas. After the tournament people tell me, “Well done, you arrived well-prepared and played well”. But none of that really matters. The only thing that means anything is first place. Otherwise playing is pointless. Perhaps you need to change something? We actually tried that (laughs). In general, people play in suits at the Candidates Tournaments. They don’t wear ties, as that gets in the way of your breathing a little. At some point in the game you can take off your jacket and put it on the back of your chair. Then you play in a shirt. How often during a game do you drink tea or coffee? Generally I drink water. If I see that a game is dragging on I might drink a cup of coffee, to give myself a boost. Aren’t you afraid of your coffee being laced with something? We had one thermos for us all (smiles). Have you ever taken meldonium? No, I wasn’t offered it either. In general is the theme of doping relevant to chess? Not particularly. A game lasts for three to six hours. You don’t know at which moment you’ll need to be at your peak of activity. For instance, you’ve taken some pill which gives you a clear mind 3.5 hours after the start of the game – during the first time trouble phase. You get through it. You haven’t blundered anything, but you then experience a low, while the game goes on. Did you lose a lot of weight during the last Candidates Tournament? About four kilograms. You also need to take into account that when I play a tournament I do without lunches. Going by the schedule they’re always close to the games. Food makes you sleepy, while the last hours before a game are busy with intense preparation. I’ve never had the urge to spend that time on anything else, so I switch to two meals a day. Do you sleep well during a Candidates Tournament? It depends how the game has gone. After balanced games it's fine. After dramatic wins or losses it’s hard to calm your nervous system down. You always dream about chess - it’s a kind of virus of the brain. It’s impossible to get away from it entirely. When were you infected with that virus? Almost immediately I was shown how the pieces move. Soon it’ll have been 35 years ago (laughs). Do you experience any feelings towards your opponents at the board? I’m a peaceful guy. I’ve got pretty good relations with the majority of my colleagues. Will you be part of Karjakin’s team for his preparation for the World Championship match against Carlsen? I don’t think so. We don’t have that kind of rapport. People will be found who can help Sergey without me (smiles). Nevertheless, you’ve already been a help to him. At the Candidates Tournament you took points off Karjakin’s main rivals: India’s Vishy Anand and America’s Fabiano Caruana. I was playing for myself. Chess isn’t a team sport, but, of course, my draw against Caruana in the penultimate round played a very important role in the final standings. Karjakin is being compared with Garry Kasparov, who became World Champion at 22. He’s very tenacious in defence. He plays brilliantly in positions with a slight edge. He’s shown on multiple occasions that it’s very hard to break him mentally – he turns up the next day after tough losses and shows his best play. You can only envy Sergey’s nervous system. What can you say about Magnus Carlsen? He’s the planet’s no. 1 chess player and the favourite for the upcoming World Championship match. What will happen if Karjakin returns the chess crown to Russia? For a while chess will make a serious appearance on the country’s TVs and newspapers. 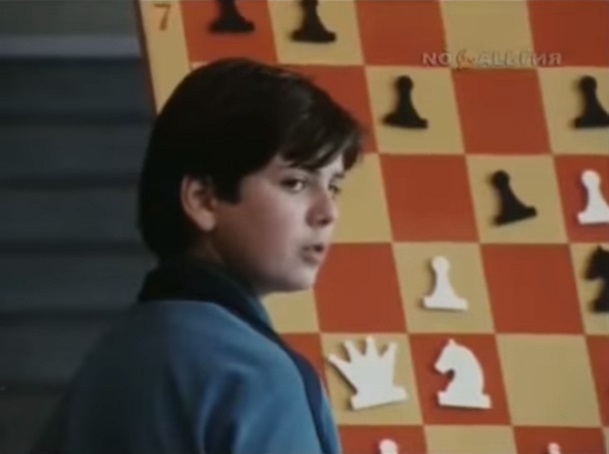 In our country interest in chess never dies out completely, since there are huge traditions, but it can’t, of course, be compared to how it was in the USSR. Such matches are usually characterised by conspiracy theories and an atmosphere of suspicion. Everyone is now debating how to fight against computer cheating. Gadgets are getting smaller and smaller. I tape one to my leg and I’m given the necessary moves by Morse code. But that all takes place in games that aren’t at the very highest level. After all, we have some guild solidarity. We’ve put so much into chess that none of us will engage in cheating. True, at all the top-level tournaments they fight against outside assistance: they use jammers, and there are metal detectors everywhere. At the opening of the World Cup they told us straight out: “It’s better if you don’t bring your own pen with you. We’ll give you one”. Carlsen is 25 years old. Karjakin is a year older than him. World Champions before 30 years old – is that already a trend? Probably, I agree. Viktor Lvovich Korchnoi said that he only really started to understand chess when he was approaching fifty, but back then the pace of the game was completely different. Over a year they played far fewer games. Roughly half as many. How many is it for you? Any player plays about a hundred games a year. I was still in time to attend the last two sessions of the Botvinnik School, where talented young people were invited from across the whole country. A session lasted ten days, and there were lectures by coaches and simultaneous displays. At the end they gave you an A4 piece of paper with recommendations. The standard recommendation – not to play more than 50-55 games a year. That was Botvinnik’s order. He thought you needed to work a lot on chess, but not to play. Now such a pace is simply impossible. For that you need to go into semi-retirement. There’s one more argument: more tournaments = more money. It’s not only about that. The arrival of computers has led to a sharp increase in the volume of information. Is it true that computers will now always beat people? In our day such matches already look like a mockery – I don’t understand why people agree to them. The gap is already so great that they’re now trying to artificially bring us and the computer closer. Periodically they hold four-game matches in which the computer gives up some kind of odds. A pawn. Or a move and a pawn. And they can worsen the computer’s starting position. Recently Nakamura had such a match against a computer program – he made three draws and lost one game. When Kasparov lost to a computer he complained that his opponent’s moves were “human”. Is technical progress helpful for popularising chess? Now many people use tablets and gadgets. You can play chess anywhere. 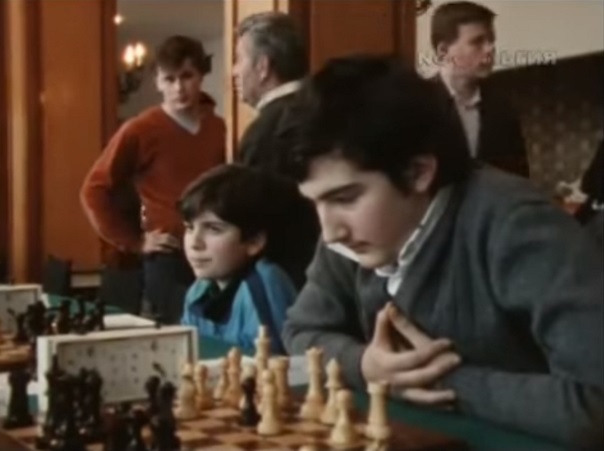 The process of watching top-level chess is now incomparable to how it was before. Any important tournament is broadcast on the internet. There are always live games, and in the majority of cases with video. How good that is depends on the tournament’s budget. In some cases there’s one web camera, in others there’s a group of cameramen who show chess players from different perspectives. Peter Svidler will be commentating live alongside Jan Gustafsson for the Altibox Norway Chess Supertournament, that starts a week today!